Don’t take air conditioning for granted or settle for uncomfortable driving through the long and hot months in Alabama – stop by Melton Automotive for your vehicle air conditioning service! From the refrigerant to the compressor, our certified technicians will inspect every component of your air conditioning system to find the right solution for your vehicle. A refrigerant recharge and replacement often solves issues with the air conditioning. Refrigerant flows through your vehicle’s A/C system to cool and protect moving parts. Over time, this fluid becomes less effective and corrosive, causing friction and wear on the components. A/C system leaks can also accelerate this process and leave your vehicle with low refrigerant levels. 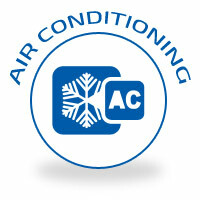 Just like the other systems in your vehicle, air conditioning is subject to normal wear and tear. When you first notice an issue, come in as soon as possible for an inspection! Catching issues early means our technicians can fix problems quickly – but if left too long, the entire system may need replaced. Save the hassle, time, and money by coming in early! Look for the maintenance schedule in your owner’s manual, or call our technicians at 205.663.6088.